WASHINGTON (Sputnik) - The United States can no longer use the United Nations Human Rights Council (UNHRC) to justify its military interventions around the globe, now that it has withdrawn from the world body, US Ron Paul Institute for Peace and Prosperity Executive Director Daniel McAdams told Sputnik on Thursday. "Human rights as an issue is often a cover for foreign interventionism. The US used 'human rights' as an excuse to destroy Libya and to launch a seven year proxy war in Syria," McAdams said. "In fact, it was the UN Human Rights Council that first put the wheels of the US-led attack in Libya in motion." McAdams recounted how in the days leading up to NATO's intervention in Libya, non-governmental organizations petitioned the UN Human Rights Council to demand action in response to alleged atrocities being committed by then-Libyan leader Moammar Gaddafi. 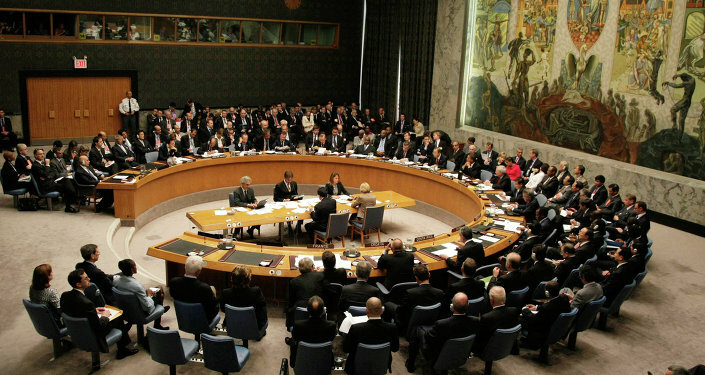 As a result, the issue was then taken up by the Security Council, which adopted Resolution 1973, a measure that paved the way for NATO's airstrikes in Libya. Several of the NGOs' allegations — which formed the basis for NATO's intervention — later turned out to be false. "The human rights abuses that Libyans have suffered since their 'liberation' far outweigh any they suffered under the rule of Gaddafi," McAdams said. On Tuesday, US Ambassador to the United Nations Nikki Haley announced that the United States decided to suspend its membership in the UNHRC. Haley denounced the organization as hypocritical, saying it was biased against Israel and protected countries that abused human rights, such as Cuba, the Democratic Republic of Congo, China and Venezuela. "The UN Human Rights Council, like most of the UN, has long ago strayed away from its original purpose," McAdams said. "When you have notorious human rights abusers like Saudi Arabia — and the US among others — playing a prominent role in determining human rights abuses in other countries, the whole exercise becomes a farce." McAdams went on to say that the US withdrawal from the UNHRC would "hopefully reduce" its importance and restrain its ability to be used as a forum to promote conflict. "The UN's adopting the 'Responsibility to Protect' (R2P) doctrine in 2006 has been an unmitigated disaster. The UN was founded as a body of sovereign states seeking to work together as such to eliminate war," he said. "The destruction of national sovereignty caused by the R2P doctrine means that countries with aggressive foreign policies can use the UN as a fig leaf as a cover. The result is more war, not less. 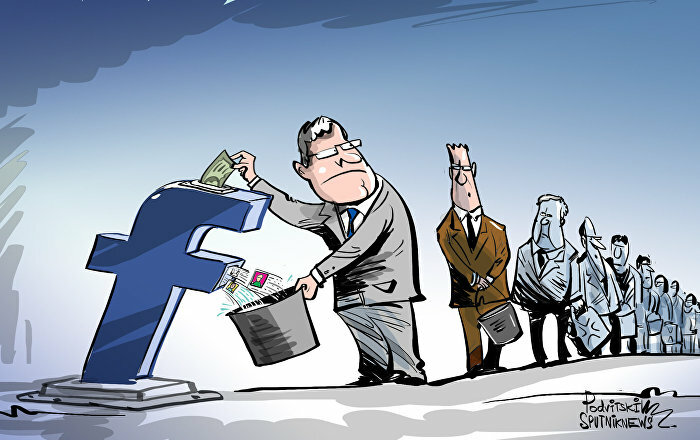 And that is what we are already seeing." 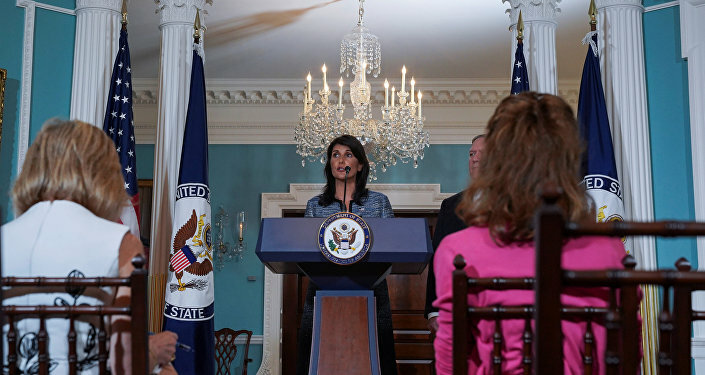 The US decision to quit the council comes a month after the UNHRC decided to form an independent mechanism to investigate the Israeli Defense Forces' killings of more than 100 Palestinian protesters along the border with the Gaza Strip since March. Palestinians in Gaza have been staging protests along the border to demand the right to return to their homes now inside Israel. The UNHRC has said that the killings could be considered war crimes and need to be investigated. According to UNHRC President Vojislav Suc, the UN General Assembly will now decide on a candidate to replace the United States on the Council, which consists of 47 members elected directly by the General Assembly. 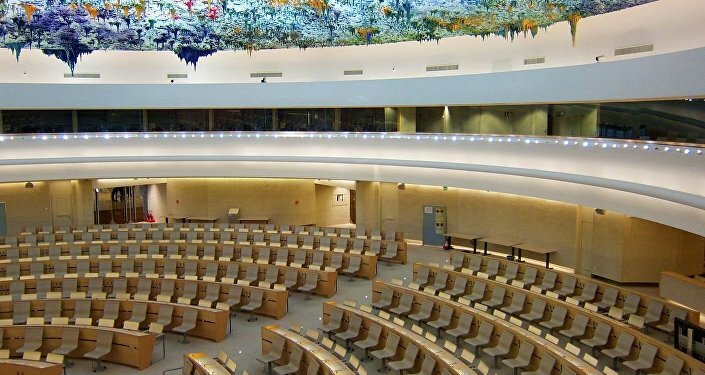 Prior to its withdrawal, the United States' mandate in the UNHRC was expected to last till the end of 2019. It was the country's second three-year term, after which the US did not have the right to be re-elected.